Commit 2018 to fiction with an immersive short story and flash fiction workshop. Divya Ghelani invites you to reimagine and repurpose last year’s headlines, photographs, songs, films, poems, to create short stories and flash fictions that welcome the new year. What better way to start 2019 than with tons of momentum for your writing? Participants will be offered a series of fun stimulus-based writing exercises to help them conjure new settings, characters, and voices. We will discuss the art of the short story, the rules of flash fiction, and a few tricks of the trade. Everyone will leave with multiple finished stories and outlines for many more. Your New Year’s resolution will thank you for giving yourself – and completing – manageable goals that keep the ball rolling! * Participants are encouraged to tailor this workshop by bringing along one or two items from 2018 for inspiration (e.g. objects, song lyrics, headlines). Divya Ghelani holds an MA in Creative Writing from the University of East Anglia and an MPhil in Literary Studies from the University of Hong Kong. 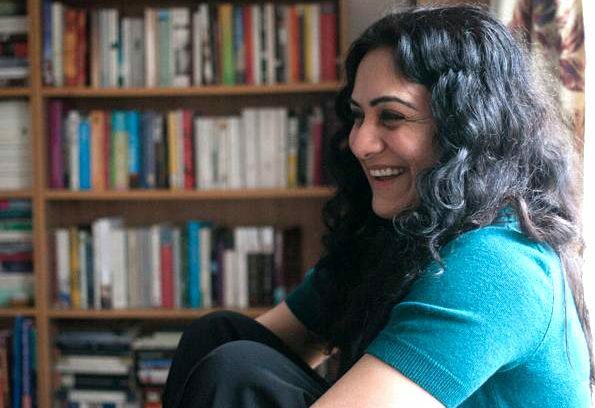 Her novel-in-progress has been longlisted and shortlisted for four literary awards. She lives between the UK and Berlin and is Programme Associate for the UK’s leading literary salon, the Word Factory. She has published short stories and judged story and flash fiction competitions. Her words are in Issue 1 of The Good Journal and she is represented by Niki Chang at The Good Literary Agency.